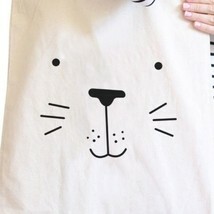 Seal Cute Face Natural Canvas Bags Cute Design Printed Diaper Bags These quality cotton canvas totes are professionally printed, durable and stylish. 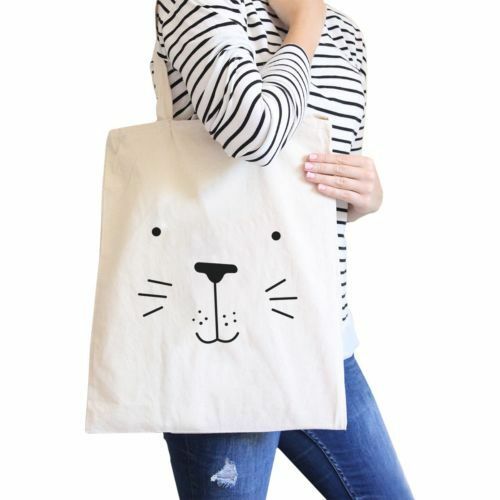 Also perfect as a beach tote, daily bag, grocery bag, or book bag, these bags make cute Christmas or birthday gifts for students or teachers or employees or co-workers or friends or family, or yourself! 12 oz Heavy canvas, made of 100% canvas cotton, 1 tote bag per order Water base printing ink, eco-friendly quality that ensures safety, high quality, 15"W x 16"H, 21" handles Wash inside out in cold water, Natural-air drying is recommended, water base printing ink, eco-friendly quality that ensures safety, high quality Due to different computer monitors/calibrations, colors may vary slightly from photos IMPORTANT MESSAGE FROM 365 PRINTING INC: 365 Printing Inc. products are printed/designed/decorated in the USA and ship from USA. 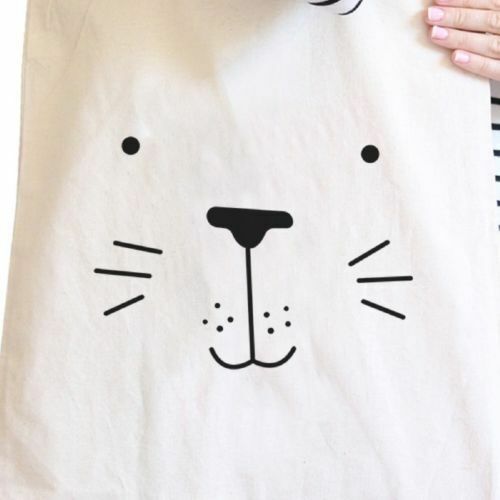 Please make sure you buy authentic product from seller 365 Printing Inc. *BEWARE OF COUNTERFEITS* Please let us know if you buy a counterfeit products with bad quality or different from the descriptions.